(Rhonda B) is the next best thing than new. 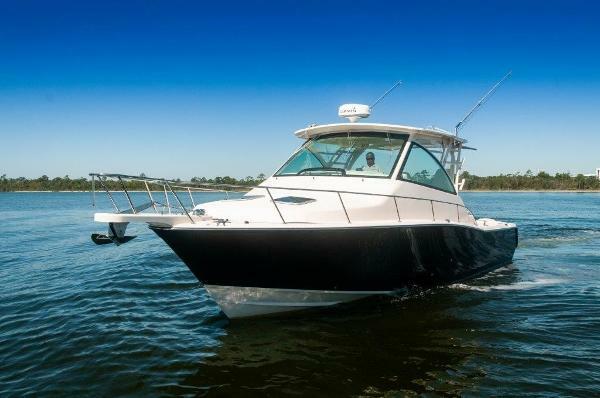 This 2018 Grady White 370 Express is power by Triple Yamaha White F-300's with Helm Master Joy Stick with Set Point & Bow Thruster, with only has 59 hours. 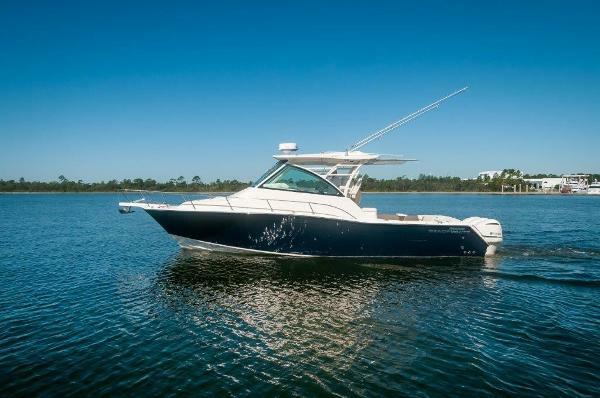 She is loaded with the options and customs features like 16k in custom Flag Blue painted hull sides. 10k Port side Deluxe Helm chair. Hard top AV2 drop down T.V., Twin Garmin 7616-XSV monitors, GARMIN Auto Pilot, Garmin Radar GMRD24XHD, Garmin GXM53 Sirius XM weather module, Garmin VHF 310 w/AIS feature, Garmin R111LH/GSD26 transducer, (4) electric reel plug-ins, Electric grill in cockpit, Aft refrigerator/freezer fish boxes w/digitally controlled thermostat, (4) underwater lights, side drive door, electric Sure shade, Helm A/C and the list go on & on. Stand Up Rocket Launcher in Cockpit. ( Rhonda B) is ready to go to fight the big boys. 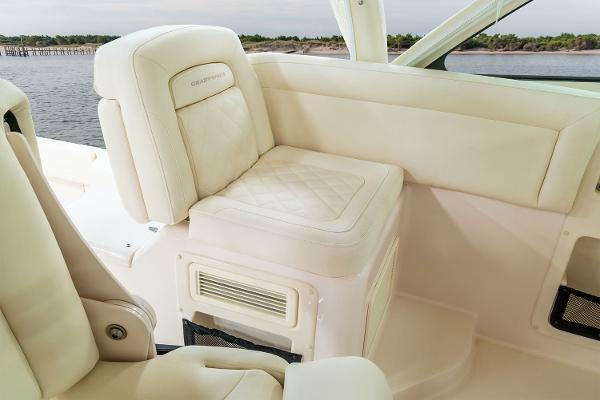 The outboard-powered Express 370 express cabin boat offers more amenities, cabin room, function and reliability than many inboard boats that are 10-15% larger in length. 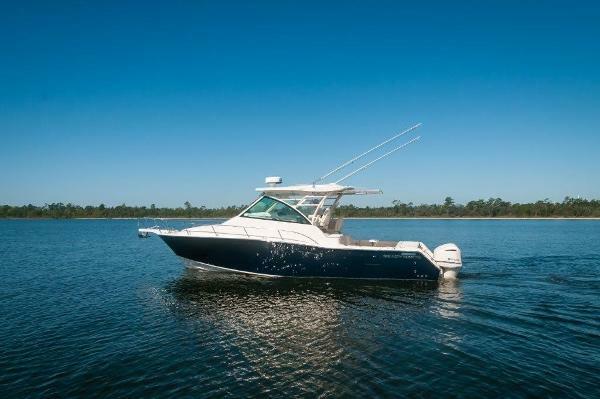 With its phenomenal SeaV2® ride the Express 370 is perfectly suited for offshore saltwater sportfishing, yet the 370 is also a luxurious family-and-friends cruiser with custom yacht quality. 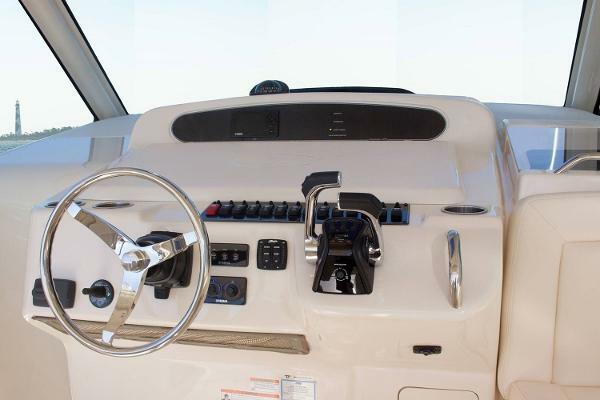 The outboard-powered Express 370 express cabin boat offers more amenities, cabin room, function and reliability than many inboard boats that are 10-15% larger in length. 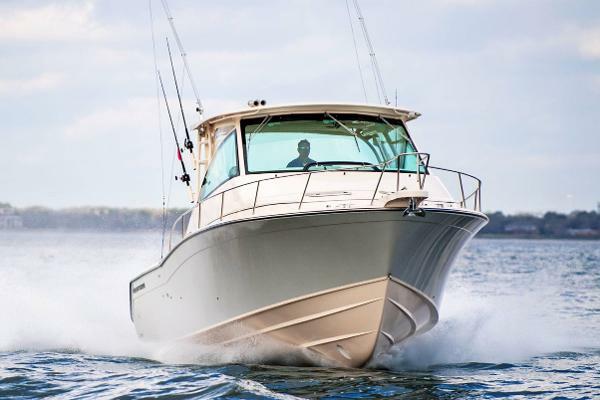 With its phenomenal SeaV2® ride the Express 370 is perfectly suited for offshore saltwater sportfishing, yet the 370 is also a luxurious family-and-friends cruiser with custom yacht quality.